Fr. Kevin is a priest of the Archdiocese of St. John's, Newfoundland. 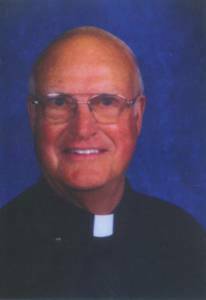 After retiring from administration, he came to Florida to serve wherever a priest was needed. Fr. Kevin spent five years at St. John Vianney in St. Petersburg Beach. He has been ministering at St. Ignatius since 2002. Fr. Kevin serves in all areas of our parish. His yearly classes are marvelous!